With hacking and hackers growing in huge numbers on a daily basis, it is now time for you to be completely aware of the signs of your website being hacked and to start using good and reliable software that will help you prevent such attacks in the future. However, there are a few basic signs that you will have to look out for when using a computer or laptop. 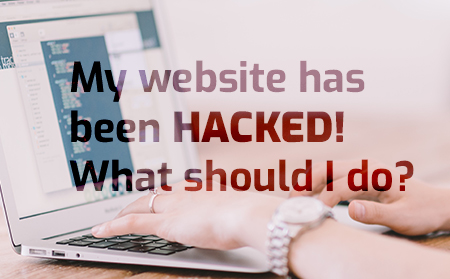 If your question “Has My Website Been Hacked?”, gets a YES for an answer, then you should next think of measures on how to prevent such attacks that could actually become dangerous with you losing all your personal files, sensitive and personal data etc. You will need an instant malware removal tool capable of cleaning and repairing your website. You will also need an efficient website firewall that will obstruct attacks and protect the website. You can find these website security features together with other features in Comodo’s cWatch Web, which is a Managed Security Service for websites and applications that incorporates a Web Application Firewall (WAF) supplied with a Secure Content Delivery Network (CDN). It is a completely managed solution provided by an all-time available Cyber Security Operation Center (CSOC) of certified security analysts and is powered by a Security Information and Event Management (SIEM) that influences data from more than 85 million endpoints in order to detect and mitigate threats before they occur. The Comodo Web Application Firewall (WAF) provides robust security completely managed for customers as part of the Comodo cWatch Web solution. Globally-distributed Anycast network allows efficient distribution of traffic. It clearly blocks all non-HTTP/HTTPS-based traffic, with a current network capacity in excess of 1 TB/s. Each PoP comprises of multiple 10G and 100G ports, designed to scale and absorb extremely large attacks. Capable of protecting susceptible websites by first identifying and then removing malicious requests and also stops hack attempts. Focuses on application targeting attacks, for example, Joomla, WordPress and plugins, Drupal etc. Consistent updates of virtual patches for all websites under management and prompt response to applying a patch for the zero-day attacks when they become known to the public. Malicious bots and brute force attacks are blocked from websites. Protection of account registration forms and login pages from different attack vectors including protection from application denial of service, web scraping and reconnaissance attacks. With the Comodo malware detection scanning, removal services, and preventive methods, organizations will be able to adopt a proactive approach capable of protecting their business and brand reputation from malware attacks and infections. Comodo cWatch Web has the potential to identify malware, provide the methods and tools to remove it and to prevent future malware attacks even before it hits the network.